By submitting this form you are requesting to receive ongoing communications from Jigsaw Marquees on news, offers, and other applicable information. You can unsubscribe at any time. 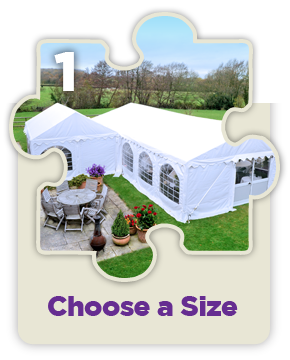 Jigsaw Marquees specialises in fantastic party tents and marquees for all kinds of events including weddings, parties, corporate events and all types of outdoor occasions. 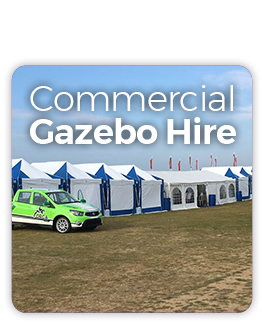 We travel throughout the UK to provide our fabulous marquees. 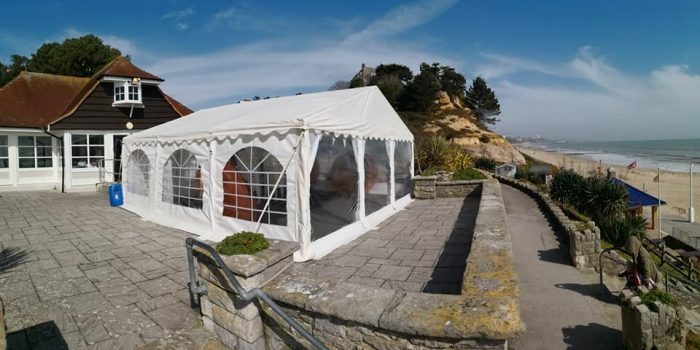 With 2 operating centres in Bournemouth and Shrewsbury, we are an independent family marquee company dedicated to offering an efficient, quality marquee hire service. We focus on events for 20-120 guests seated or 20-150 guests standing/buffet party. 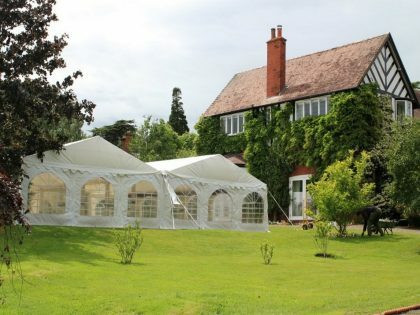 We travel all over the UK to provide Wedding Marquees and Party Marquees and regularly have marquees in Shropshire, Dorset, Birmingham, Somerset, Warwickshire, Wiltshire, Staffordshire, Hampshire, Cheshire, West Sussex, Oxfordshire and Berkshire. 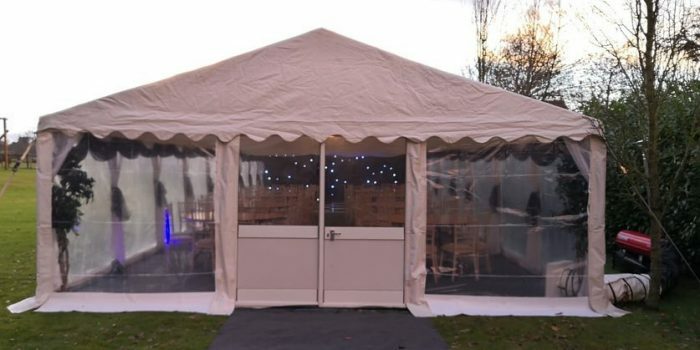 Having held various events at home including birthday parties for our 3 daughters, we realised that it was difficult to hire a complete marquee event package that looked fabulous, but did not cost too much. We would spend many stressful hours organising, and running around all over the county to gather everything together for our party. 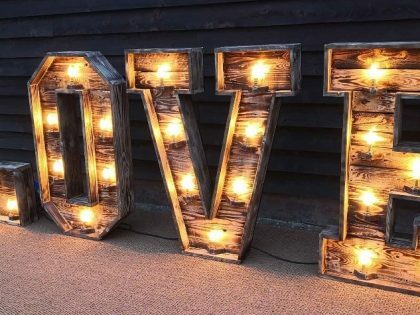 It became obvious that there was a real need for a smart, slick, and complete marquee package that would seamlessly appear in the garden and disappear just as seamlessly after the event. 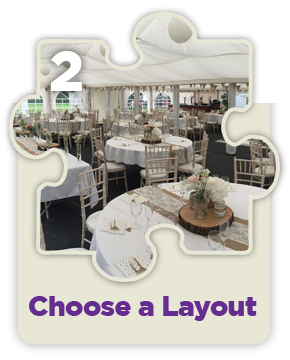 The key was to create a simple, yet complete marquee hire package to de-stress the organisation of your event… Jigsaw Marquees fills this need. We offer you a standard marquee package that will enable you to have a super event. We have some extra packages, including extra equipment hire, that you may or may not feel you need. 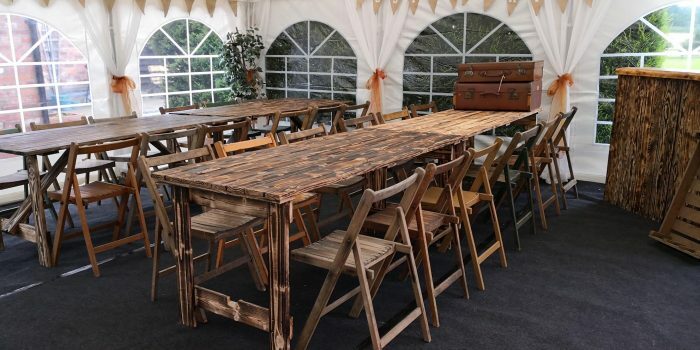 We don’t give you a price for a marquee and then try to sell you lots of extras like linings, chairs, tables etc which should really be part of the package. 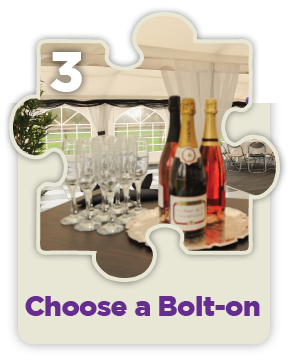 Our aim is to provide you with a year-round complete and stylish event marquee, all that you need to do is add guests, food and drink. 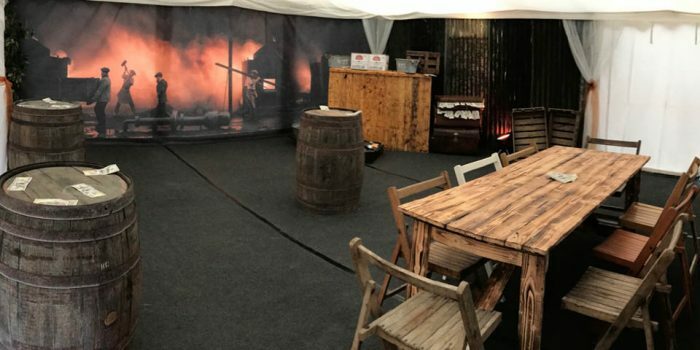 We have a bar package that you can hire so that you can have your own stylish bar area. 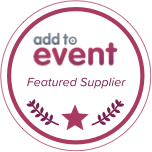 We can even assist with your food, drink and venue choices through associations we have with some great catering companies and venue operators we are very happy to recommend. 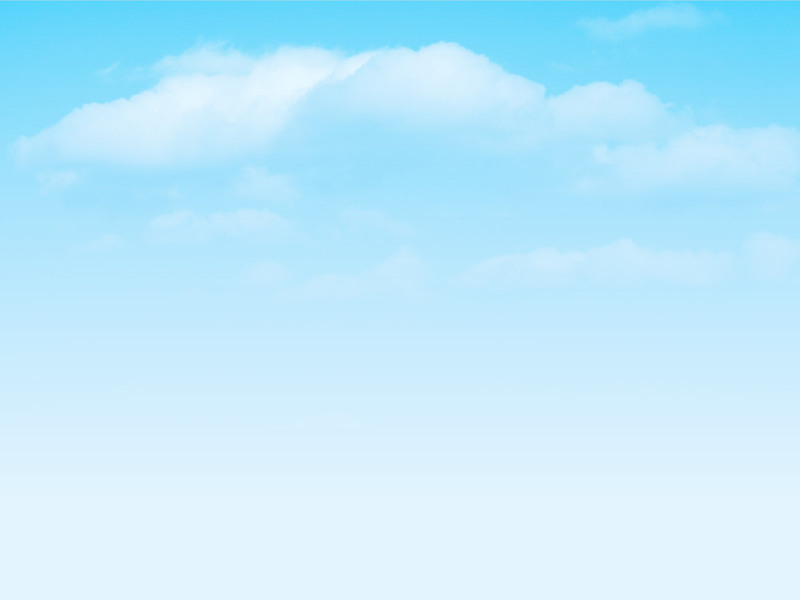 Please also take a look at our Facebook page and like us! 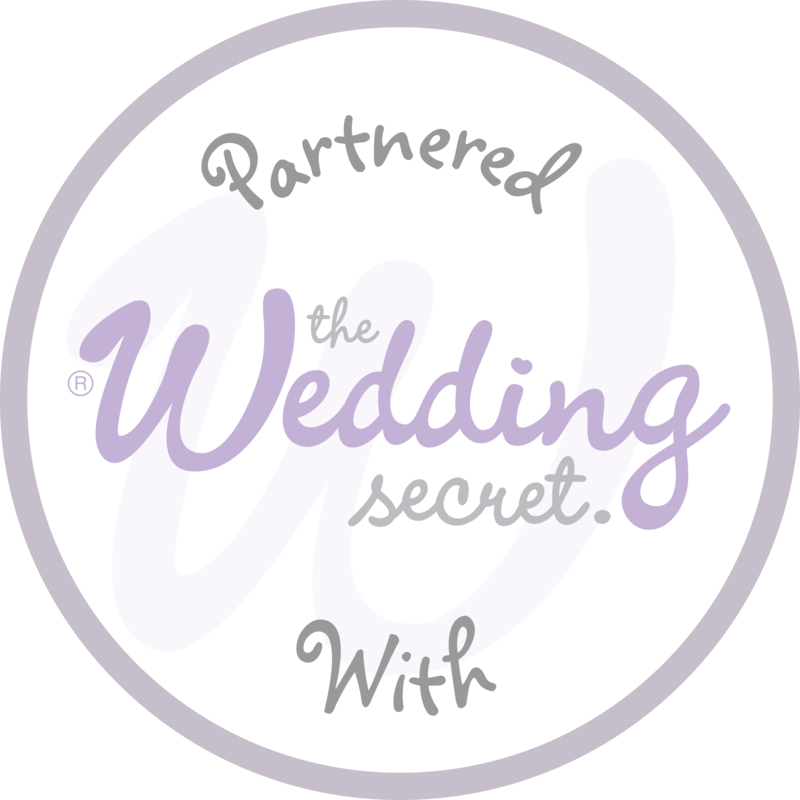 Want to find out more about Jigsaw Marquees or ask a question? Fill in our online contact form.